There is nothing quite like finishing off the design of your modern home with slim vertical radiators. This is what many homeowners are realising as they switch from horizontal radiators to vertical ones to keep up with the trend towards stylish and efficient homes. Sure, vertical radiators may seem strange when you first see them. In fact, they can sometimes look like they belong in the future. But there are many practical and aesthetic reasons why tall slim radiators are all the rage. Keep reading to find out more about why people are switching to slim vertical radiators. The days of ugly and bulky radiators tucked underneath windows are over. Whereas before there were two good reasons for the convention of horizontal and large radiators. Firstly, cooler air would come from the window and be warmed by the radiator as it enters the room. Secondly, the space under a window was considered dead space that couldn’t be used for anything else. And therefore, ideal for installing a big radiator to heat the home. However, nowadays this is not the case because of doubled glazed windows and improved installation. Because of this, many people are choosing to heat their homes with vertical radiators. Now let’s take a look at the benefits of vertical radiators. Do you want your home to be suitable for modern times? Upright radiators make a room look contemporary and stylish while also having a practical purpose. It’s a great item if you want to design your home for the modern age. There is also a wide range of designs for vertical radiators. You choose from our wide range of designs, colours, and sizes. This way you can always find a vertical radiator to suit the style of your home and the purpose of the furniture. Now we’ve tackled the aesthetic qualities of vertical radiators, let’s take a look at the more practical aspects. Do you like to heat up a towel for after you’ve finished in the shower? Vertical radiators unlike towel radiators are not usually used for towel drying duties. The designs are generally tall, slim and flat. However with some models you can fix a towel rail on to the radiator. This not only looks great but also has a very practical use. This allows you to hang towels or other items of clothing. But don’t worry they’re designed in a way that makes it possible to continue to heat the bathroom at the same time. Designing your home often includes careful decisions about how to efficiently use space. This is especially the case if you have small rooms, such as a small ensuite bathroom, hallway or a tight kitchen. However, even the smallest rooms are likely to have vertical space to fill. This means that in many homes, vertical radiators make for much more efficient use of space. You can install a vertical radiator on unused wall space behind a door, or in a narrow corner of a room. Unlike horizontal radiators, which can span the entire length of a room, vertical radiators take up less of the usable space in a room. This means that you’re forced to block the heat from the radiator with pieces of furniture, such as sofas and closets. However, by taking up less available space, vertical radiators allow you to let the heat flow through the home without blocking it with large pieces of furniture. You don’t have to be restricted by your current pipework either. You can simply remove the existing horizontal radiator from under your window. With vertically designed radiators you can install it in a place you would never have previously considered as suitable. With a professional plumber, you could have the old horizontal radiator removed and the new vertical one installed in less than a few hours. In the competitive housing market, you always need to be on the lookout for something that can give your property the edge over others. With vertical radiators, you can show buyers that your home is the right home for them. Many buyers are seeking properties that have something a bit different. They want to buy a home that stands out with modern features. By transforming your home with vertical radiators, you could add value to your property. There are so many fantastic benefits of thin vertical radiators. 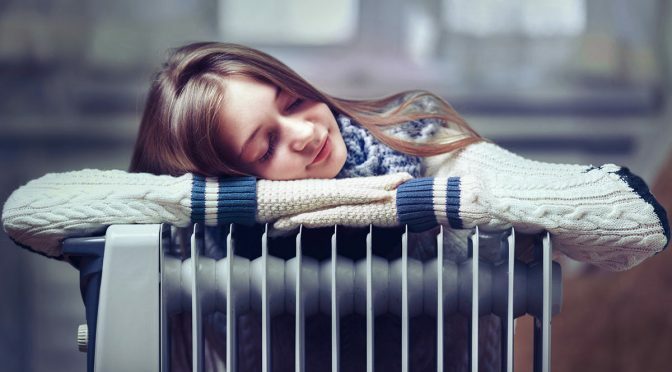 But we shouldn’t forget the primary purpose of a radiator – to heat your home effectively. With vertical radiators, you can keep your home nice and warm for you and family. You don’t have to worry about getting out of the shower cold. You’ll be kept warm and cosy during the bleak winter months. Are you ready to go vertical with vertical radiators? With so many benefits of vertical radiators, there can no doubt that slim vertical radiators are the way to heat your home in the future. Keep up with the latest interior design and heating trend by getting vertical radiators for your home. If you’re interested in having slim vertical radiators installed in your home, then check out our online selection here. If you have any more questions about radiators or bathrooms, get in touch with us today.